Tom Burr's sculptures and installations function both as deep investigations of form, site, and material and as figures of a sort, each with its own temperament and history. He often takes as his starting point a recognizable form—whether it be the furnishings of an architectural space (such as a bathroom, bedroom, or movie theater) or the geometries and materials of minimalist sculpture. But for Burr no form is autonomous or free from reference. His objects openly admit to their historical, discursive, and contextual baggage. His 1997 exhibition at American Fine Arts, Co., in New York, Stainless, explored the particularities and various alternative modalities of public bathrooms through works such as Single Partition Platform, which were shown adjacent to Warhol-inspired monochrome silver forms like Silver Plant Platform. Several of Burr's works have explored the sorts of confined public spaces adopted by "underground" subcultures: sites for gay cruising or other socially and often legally restricted behavior. His sculptures serve as a careful redress to official histories, calling up marginalized, unsanctioned, or repressed narratives embedded in objects and forms. "Silver Plant Platform." Take It or Leave It: Institution, Image, Ideology Digital Archive. 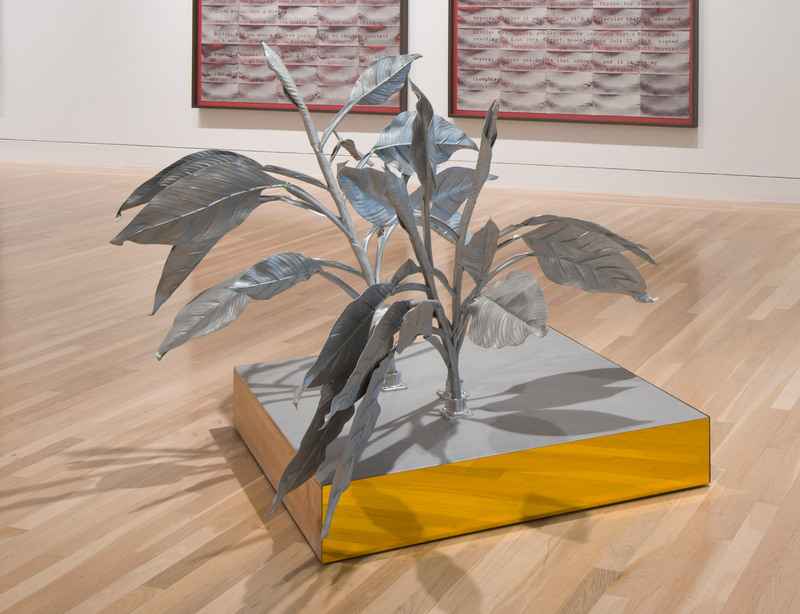 Los Angeles: Hammer Museum, 2017. https://​hammer.ucla.edu/​take-it-or-leave-it/​art/​silver-plant-platform/​.